Ideal for two couples, our open space Explorer eighteen footer is the ideal boat to get around the mauritian islands and shallow lagoons. Powered with a 150HP outboard engine, your chosen destination(s) will only be a few minutes away. You can enjoy the huge western lagoon around îlot Béniter or cruise over the shallow waters near îlot Bernache in the north of the island. 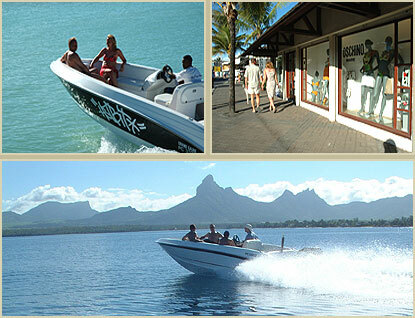 You can even go shopping in Grand Bay in our Explorer speedboat, a much more enjoyable way than road transport. Explorer is also now available on the East Coast of Mauritius to give our clients the ultimate choice in lagoon cruises.